If you have an account with Microsoft Outlook email service, there is a chance that your account information could have been revealed to unknown hackers. As per a report by The Verge, hackers managed to breach into Microsoft’s customer support portal and access information related to some email accounts registered with the company’s popular email client – Outlook. 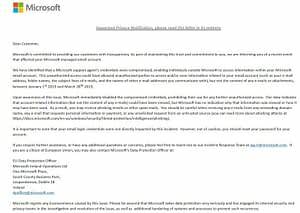 Microsoft has now begun notifying Outlook users about this breach. 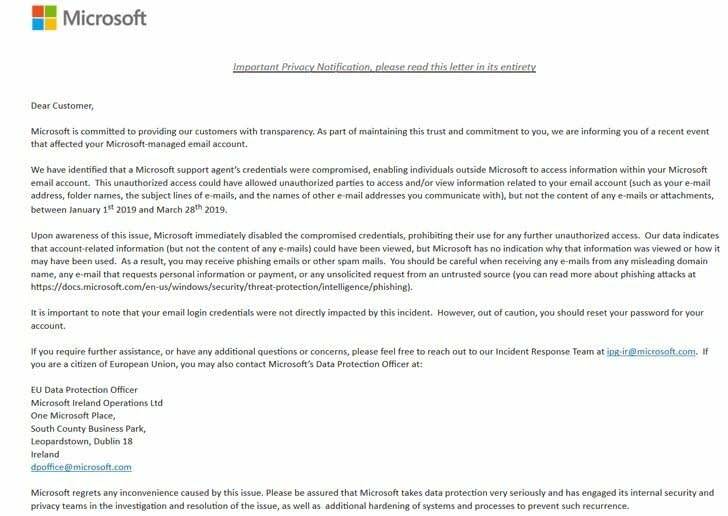 A user on Reddit publicly posted a screenshot of an email which he received from Microsoft warning that unknown attackers were able to access some information of his OutLook account between 1 January 2019 and 28 March 2019. Another user on Reddit also confirmed that Microsoft has indeed reached out to a number of Outlook users via a similar email. Microsoft, however, did not disclose the total number of accounts affected by the incident. 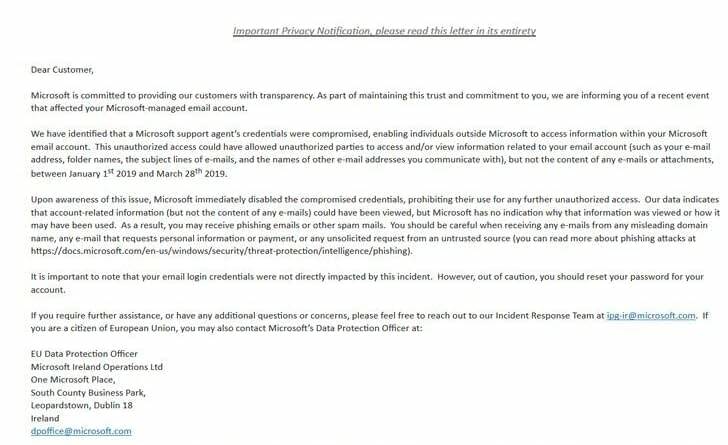 According to the incident notification email, attackers were able to compromise credentials for one of Microsoft’s customer support agents and used it to access information such as email addresses, folder names, and subject lines of emails, but not the content of the emails or attachments. Just to be sure, Microsoft is still recommending that affected users change their passwords. 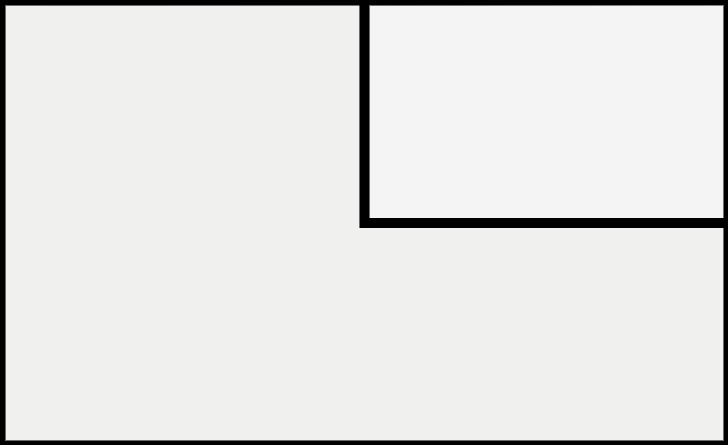 “Microsoft regrets any inconvenience caused by this issue. 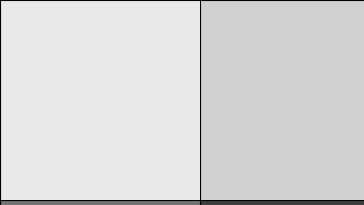 Please be assured that Microsoft takes data protection very seriously and has engaged it’s internal security and privacy teams in the investigation and resolution of the issue, as well as. 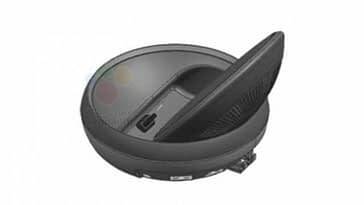 additional hardening of systems and processes to prevent such recurrence,” Microsoft mentions in the email sent to users.